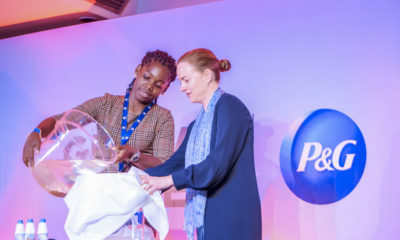 As a way of lending a helping hand to girls and women in need of sanitary aids, P&G’s Always will donate over 500,000 sanitary pads to girls through NGOs in its #APadAGirl Initiative, aimed at promoting pad culture among Nigerian girls and women, as against the usage of unhygienic alternatives for their menstrual cycle. 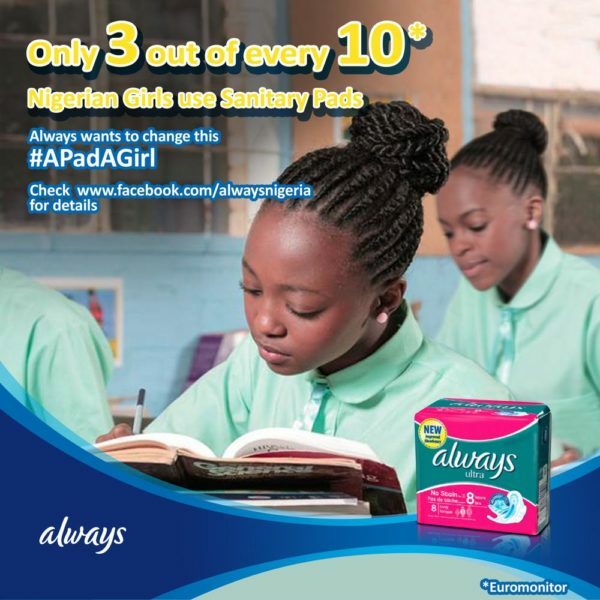 According to Euromonitor, only 3 out of every 10 Nigerian girls use sanitary pads for their menstrual cycle, it is believed that other girls resort to unhygienic alternatives. 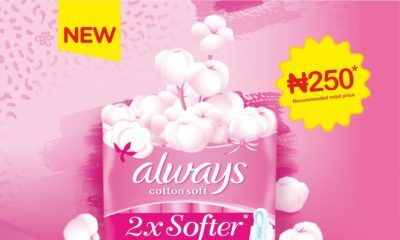 The Always Communications Manager Nigeria, Tomiwa Ajewole, said that the purpose of the initiative is to provide aid to girls and women across the country, who have little or no access to sanitary pads, while sensitizing them on the need to adopt healthy sanitary options. The campaign is opened to all NGOs in Nigeria and interested NGOs should take two easy steps to be part of this. The campaign will run from Wednesday, June 14th to Friday, June 23rd, 2017. NGOs should visit https://www.facebook.com/alwaysnigeria/ for more details.